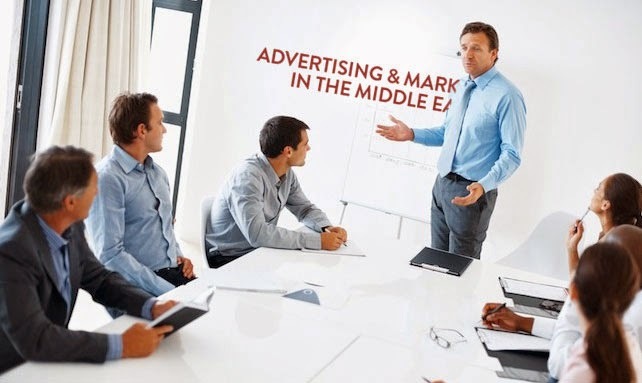 The advertising, marketing and media agency and service scenario in the Middle East has evolved over the years. From a large behemoth ad agency model to various specializations today, the industry is being fragmented in certain segments and integrated in others. What type of agency or service will you need depends on the spectrum of work or assignment you need a solution for. Here are agency models in the Middle East region that are taking shape based on demand or market dynamics. has been around forever. Large advertising and marketing agencies have always held sway in the region, but lately many of them have developed or grown into large networks, diversifying their services into segments and narrow niches. In the Middle East the ad agency is synonymous with tv advertising, and there are those who dominate this most used form. Even with media agencies splitting out into their own, it has been tv that is the main focus of the larger agencies. Today, of course advertising agencies offer a wide spectrum of services including what we call 'through-the-line' advertising services such as tv, print, radio, online, PR, digital and online – but many chose to offer these divergent services under separate banners – mostly clubbed together under a 'network' or holding company banner. Most of the well recognized names in this category are part of larger international agency brands or networks, although here in the Middle East there are a few regional independents that have made their mark as well. Advertising agencies typically offer complete advertising solutions – from strategic planning through to execution of ads across various media. basically offer the where, why and when of ad or message placement. They offer services such as strategic media planning, research and consumer insights, planning for reaching target audiences and buying space (the where aspect) on behalf of clients. Their main strength today in the region is media buying, because here in the Middle East, they are typically more adept at buying the space (in print, on tv, radio, outdoor, in social, in online etc) and offer better rates to clients based on negotiations with media suppliers. today are a lot more than just press releases and media relations. Today, the PR agency is a valuable ally in the Middle East marketing scenario, with several large and small PR agencies evolving and offering far more than what we knew as traditional PR. PR agencies were known for news announcements, article writing and placement, and organizing press conferences or events. Today, PR agencies offer crisis management, thin-slice specializations by market segment, B2B communications, B2G (Business to Government relation managing) and as well G2C (an important aspect – Government to Consumer or even G2B – Government to Business communications). And, of course, many believe that social media and community managing, engaging the consumer on behalf of the brand is also a PR challenge. Middle East PR agencies offer solutions including product launches, event management, social media solutions and often are being called on to deliver SEO solutions as well. have an important role in the Middle East market place. These offer services in retail and packaged-goods environments with specialized activities including advertising, in-store, couponing, contests, loyalty driven incentives. While many large ad agencies offer these services as well, smaller specialized agencies often steal the show because their pricing models set them ahead of the game. Marketing Services agencies are actually wider in scope than 'Promotional' agencies – and a wide spectrum marketing agency is capable of offering through-the-line advertising, branding, photography, design, printing, collateral material services etc. are specialized in developing a brand's identity and all collateral communication devices needed to establish the brand. The develop services including brand naming, logo development, packaging, stationery, retail and store design, signage, environmental design and more – and often do the preliminary work in establishing a brand's look and feel in advertising, online presence such as websites and social media, annual reports and publication design. are typically smaller boutiques that offer specialized services in designing collaterals and/or specialized design challenges such as annual reports, event signage, tickets, website look and feel and more. While they can and often end up creating advertising communications, these agencies are typically geared to offer design only services rather than end-to-end solutions. in the Middle East aren't new any more, and several have already made their mark. This is a fast growth track agency model as increasingly brands are shifting budgets to social media. Social media marketing in the region is growing fast, and services offered by these specialized agencies include managing a brand's presence on YouTube, Facebook, Twitter, LinkedIn, Instagram, Pinterest and other platforms. Social media agencies design and develop a brand's content strategy, their look and feel across various platforms, manage communities and engagement and often also offer services in social search, connected shopping, blogging, content management and more. are agency models that either offer solutions based on segment or offering specialization. Today specializations include Direct Marketing (used to be a standalone important segment earlier), Analytics and Insights, Merchandizing, Real Time Bidding, Data Mining, Search, Video Marketing (there's an unique YouTube marketing agency, believe me) etc. Specializations also include very narrow dedicated agency specializations like Commonwealth that is an agency that only serves one brand – Chevrolet – globally, or like McCann Health that is dedicated to the healthcare sector. Unique specialized agencies are carving out their own niche in the Middle East market and many brands are finding their specialized services unavailable with their larger mainstream or media agency partners. One such agency in Dubai is rbbideas – which is geared to provide User Experience and Performance marketing solutions including UX and UI – again a demand driven offering that's here to stay. are small-to-medium sized agencies that are incredibly nimble and can provide any of the above depending on how, where, and why you ask them. In this region, one outstanding example is Xische & Co who according to their website "combine management consulting, design thinking and technology to solve modern-day business challenges. This could mean building a business strategy, board-level advisory or financial modeling". Often based on a 'need-to-staff' insourcing talent from a wide pool of freelances as needed, these agencies are able to quickly turnaround their services and offering model to be able to bespoke themselves to need. They are extremely adept, often far less expensive, and most often very attentive to a brand's ask. Thus, this model is actually hyper-specialized because it's need or demand based and can form a model quickly and efficiently as needed. Some of these call themselves 'hybrid consultants', some call themselves 'idea consultants' and some 'integrated' and 'end-to-end'. Whichever way the wind blows in the Middle East, both the two emerging trends are fighting tooth and nail. One is for the large agency model offering total integration and end to end solutions – sometimes as one or sometimes as a network. The other is for thin-slice specialization. And, there's rather little room in the middle. Very well put Tom... Thanks taking notice of us (RBBi). Yes, although we like to call ourselves specialized, we have seen in last one year that many clients are noticing the value and change we are trying to bring in this market. With this many clients are moving from traditional digital agencies to us. As you know Usability and UX is very big in developed markets and it always does this region is catching up and fast. We have recently posted an article on our site about Usability and it's ROI. Would love to get your thoughts on it. I think that the time needed for this region to recognize the use of usability in communications design is not too long. You don;t have too many people questioning the drivability of say, a Mini Cooper or a Merc. And if you can't make a car drivable, then you get out of the automobile business. Same with digital agencies that are not delivering on how their product is being used. Clients will migrate to you if you are getting it right. You can make the next iPhone gorgeous. But if it doesn't make phone calls? Hello? Middle Eastern advertising agencyreally helped me in my research. Big brands are not the only ones that should fear cross-cultural branding issues. With access to the internet and rise in social media, every brand should be prepared for the issues they may face when it comes to branding worldwide. I Like to read 10 different types of advertising and marketing on your article, and it is very useful for, thanks for the explanation. Thanks for sharing this information It's really help full blog Vietnamese Learning process has few practical and useful topics: introduction, shopping, weather, hobbies. which were arranged in a systematic order to boost the learners’ confidence from day one. Here is the list of the four most prestigious centers for foreigners looking to learn Vietnamese in Ho Chi Minh. Thanks for sharing this information It's really help Full Blog First-hand access and general knowledge about learn Vietnamese . (pronunciation and words). Learners understand most common ways of speaking about necessary themes when traveling in Vietnam. Here is the list of the four most prestigious centers for foreigners looking to learn Vietnamese in Sai Gon. Thanks for sharing this information It's really help Full Blog Vietnamese Learning process has few practical and useful topics: introduction, shopping, weather, hobbies.which were arranged in a systematic order to boost the learners’ confidence from day one. Here is the list of the four most prestigious centers for foreigners looking to Learn Vietnamese in Ho Chi Minh. Thanks for sharing this information It's really help Full Blog Affordable WordPress Developer in Toronto can do a perfect lot of goods for you. If you are not experienced enough to build a pretty, great performance and great functional website, contracting the service of a WordPress Developer in Torontowill do you a lot of excellent. Thanks for sharing this information It's really help Full Blog Vietnamese Learning process has few practical and useful topics: introduction, shopping, weather, hobbies.... which were arranged in a systematic order to boost the learners’ confidence from day one. Here is the list of the four most prestigious centers for foreigners looking to learn Vietnamese in Ho Chi Minh. Thanks for sharing this information It's really help Full Blog If you’re a citizen of Mississauga and want a developer within your area, below are some important tips that can help you select the best local WordPress developer in Mississauga.